We have just received a generous grant from the Co-Operative Community Fund to help progress our work with young women writers. This is great news as we have great plans! On our Young Women Writers' page you can read a little about the history of this initiative. Then early next year we will reveal in detail the work we will be doing with young women writers from The Hewett School in Norwich in their spring and summer terms. 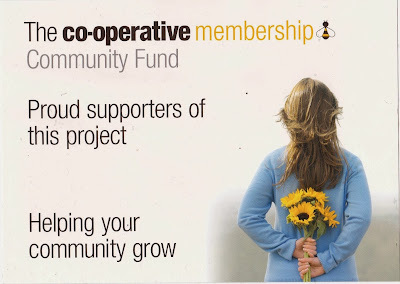 In the meantime we would like to thank the Co-Op and Hayley Ross of The Hewett School too for their support. Red Room is a book with a wild and windy moor locked inside. 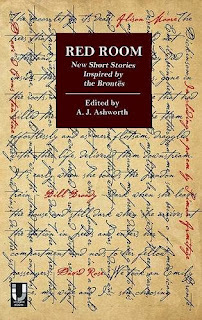 It is a wonderfully eclectic and strongly evocative collection of new short stories inspired by the Brontes. Moor-life, having lived on one, is solid and ephemeral, shape-shifting and violent, enduring and majestic. The moor and the hardships and early deaths of those who lived at Haworth and lower down the hill would have laid siege to the imaginations of the Bronte sisters. This moor passion is reflected in the anthology which contains a whole weather system of emotions and moods. Edited by A.J. Ashworth, the collection hosts some marvellous writing from a pantheon of prize-winning writers. Reading this slim book of 120 pages feels like real travel into a landscape of resonance and echo. It is exciting and compelling, packed with quiet grief, mischief, delicacy and surprise. 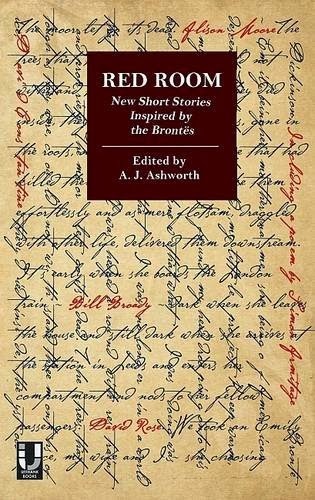 It can be quite a game to track the allusions to Bronte-work although some of the stories such as Alison Moore’s satisfying and subversive, Stonecrop, heft the inspirational starting point under the title. Helpfully, the editor has provided a section at the end of the book called Inspirations, where the authors reveal the Bronte nugget that gave rise to their narratives. Simon Armitage’s brilliant elegy Emily B, ‘Too much rain in the blood/too much cloud in the lungs.’ acts as the book’s opening marker. It is followed by some great stories. Ashton and Elaine by David Constantine is beautifully written and movingly charts a near-mute child subject to adult cruelties in a landscape of ‘hard, ungiving earth,’ but a landscape that cradles a seam of tenderness. The slow, developing relationship between the lost boy and Elaine is slowly unfolded with compassion and love. Carys Davies, short and poignant Bonnet, is a masterclass in loneliness, unrequited love and control. It recreates a fictional meeting between Charlotte Bronte and her handsome publisher, George Smith. Sarah Dobbs, Behind Closed Doors is easily one of the most powerful and memorable short stories I have read this year. The story of young Henry invisible inside a house of childhood grief after the death of his mother. The darker stories in the collection are offset with comic, playful and tricksy story-telling, whether Bill Broady’s meeting between Heathcliff and Sherlock Holmes or Zoe King’s Dear Miss, comprised of letters between Emma Woodhouse and Jane Eyre. Unthank Books have created a beautifully designed book which is also raising funds for the Bronte Birthplace Trust. It is a proud, wilful, wonderful read for those who love the Brontes and anyone who appreciates great writing. Buy a copy for a loved one this Xmas! 2-5pm, Sunday 19th January 2014 at The Playroom, The Norwich Playhouse. Isabelle King, a member of Words And Women, is bringing her wonderful event Books Talk Back to Norwich in January. If you’re a writer or reader of fiction for teenagers or just plain interested in the writing process then this event will be for you. I’m very excited to be writing this piece about Books Talk Back. It’s great to have Words And Women involved with the first Norwich event and to have this chance to explain a bit about the event and why I would love you to come! Books Talk Back is a non-profit literary event where three or four unpublished authors read an extract of their work to a published author and audience, after which follows a time for the audience to ask questions and give feedback. The authors can also use this time to ask any questions they have about their work. This interactive aspect of Books Talk Back is, I believe, what makes the event unique and, hopefully, very helpful for the writers involved. The first event was in London last September and had a focus on first time novelists writing for any genre. I was thrilled to have Naomi Wood as guest novelist; Naomi answered some questions about her creative process in writing her debut novel ‘The Godless Boys’ and gave some wonderfully insightful and inspiring advice to aspiring authors as well as some lovely anecdotes. For me, an opportunity to socialise with other aspiring authors and share experiences is always welcome, so I wanted to create an event where this was possible but which also offered some focused and useful help for the writers involved. 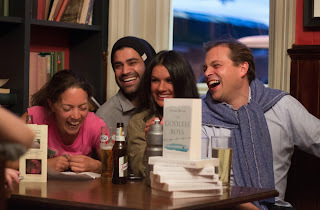 I first announced the concept for Books Talk Back to a friend in a pub (all great ideas are born in pubs, right?) and over a pint it seemed like a great idea. Having proudly declared it to all my friends however, the reality began to sink in. There was going to be a lot of work involved! Also, just to add an exciting challenge into the mix, my budget was zero. Fortunately, my local where I have also worked, The Rose & Crown, South Ealing, were kind enough to let me have a nice, intimate space at the pub which I could use for the event for free. This really worked for me as it’s a cosy and vibrant venue which also, conveniently, sells drinks! Having contacted Naomi, I was delighted that she was interested in being guest novelist and, thanks to the joys of internet, I could advertise freely. A quick plug for some marvellous people who helped me out -a very talented graphic illustrator John McKeever (jgm.carbonmade.com) designed the e-flyer and Ben Galpin of Malvolio Media(www.malvoliomedia.com) is an excellent photographer who was on board for taking the pictures. Finally (drum roll...) the evening arrived. The four unpublished authors were Maria Hummer, Orlando Brooke, Joyce Greenaway and myself. The twenty guests that night included screenwriters and playwrights as well as prose fiction writers, a member of The Poetry Society, a director of an independent film company, and an award winning comedy duo. In terms of getting critiqued, it was a bit scary switching hats from hosting to reading my work which I’d never read to anyone before, let alone to a room of twenty people. However, despite being a little overwhelming, it was also incredibly liberating and useful. Reading your work to an audience gives you the ability to experience it as other people would in a way you simply can’t when you’re writing alone in your room. The audience gave some thoughtful and constructive feedback and I could finally ask some questions which had been burning away whilst I was writing it; most usefully the experience helped me to make a decision on which time period to set the novel in. As well as being heartening to hear, it was also helpful and motivational to know the positives in my work, giving me an overall stronger idea of what works and what doesn’t. It also struck me that it’s very rare you get the chance to have such detailed and informative critique for free. So, what’s next? Well, I’ll be hosting the first Books Talk Back event in Norwich in January and I’m thrilled to have Words And Women involved. It’s really great to have the support of an organisation which provides such wonderful opportunities for women writers in the east of England. 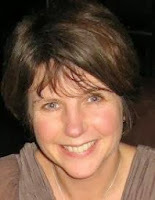 I’m delighted to announce that Hayley Long will be guest novelist. 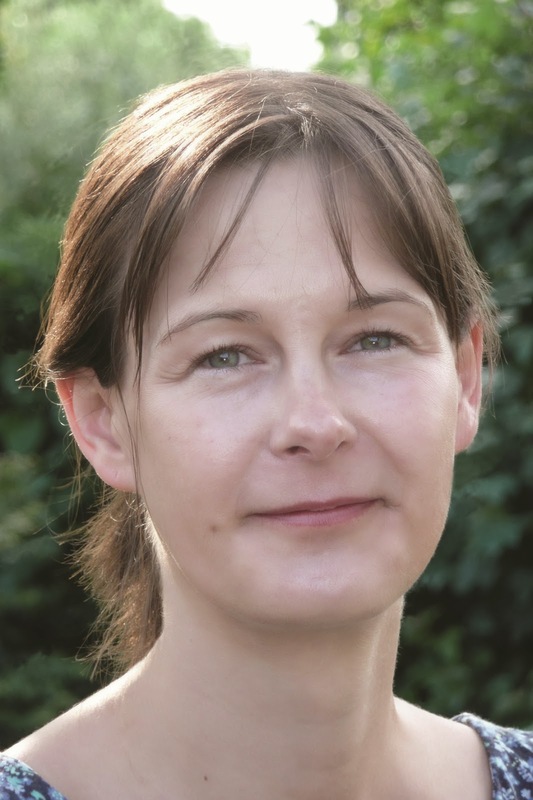 The Norwich event will have a focus on teen fiction and Hayley will be answering some questions about her creative process in writing ‘What’s Up With Jody Barton?’ as well as advice she may have for aspiring authors. Hayley gave some really insightful and interesting tips for writers of teen fiction at the last Words And Women event; I’m looking forward to hearing what she has to say! Books Talk Back will be on Sunday 19th January 2014 2-5pm at The Playroom, which is a lovely, intimate room at Norwich Playhouse. 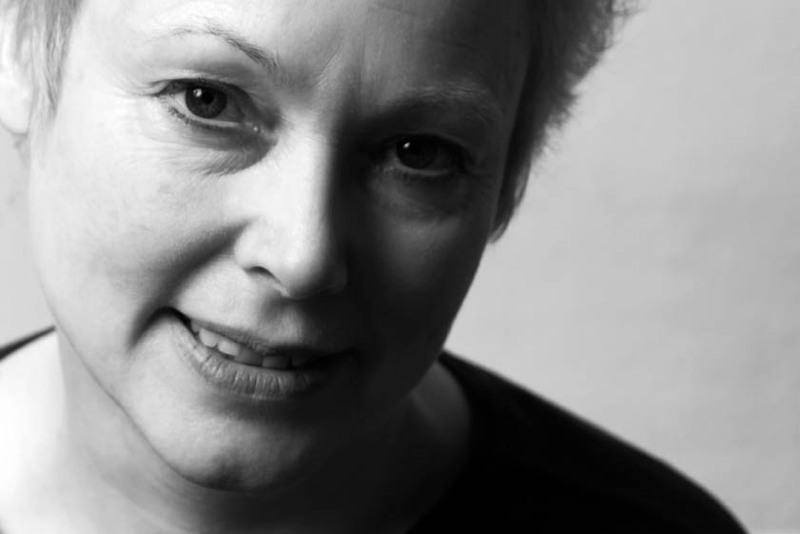 Lucy Kirkwood has won the inaugural Berwin Lee Playwrights Award for UK playwrights. For more information click here and here. And Philip Hensher in his recent review of 'Penelope Fitzgerald: A Life by Hermoine Lee' suggests the careers of women novelists follow "a more complex path" than the careers of male novelists. Click here for the full review. Words And Women receive an APF grant! Words And Women are enormously pleased to announce that we've received a generous Arts Project Fund grant from Norfolk County Council. The grant is to help us realise our OF ONE'S OWN project which we launched recently and which aims to create a short film for International Women's Day next year. There's information about this project on the Film page of this blog but briefly the film will explore where women in this region write today and also how they write, and we hope to show this film in as many independent cinema outlets as we can on the 8th March. Trezza Azzopardi will be speaking at our first members’ event! She joins our wonderful panel of writers talking about the Dos and Don’ts of their professions. 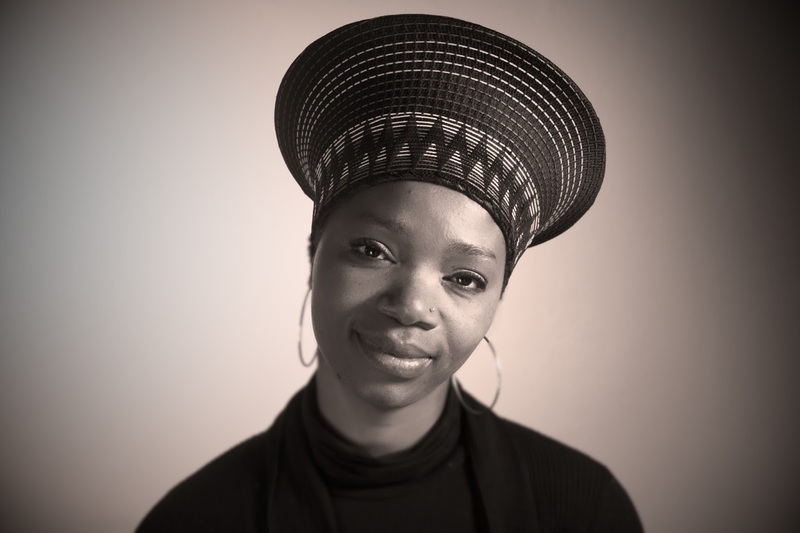 Trezza has written four novels: her first, The Hiding Place, won the 2001 Geoffrey Faber Memorial Prize and was shortlisted for the Booker Prize; Remember Me (2004) and Winterton Blue, (2007) were both listed for the Wales Book of the Year, and her latest novel, The Song House, has been serialized on BBC Radio 4. Her novella The Tip of My Tongue, based on one of the tales from The Mabinogion, will be published next month. If you’d like to hear what Trezza has to say then join Words And Women, and come to our event at Appleyard & Co, Norwich, October 13th, 2-4pm. See our membership page for further details. Don’t miss out! There was a great Reunion programme on BBC Radio4 last Sunday when Sue MacGregor brought together five of the women who created Spare Rib. Among them were editors Marsha Rowe and Rosie Boycott, and Anna Raeburn who wrote the advice column. Did you know that in the 1970s when Spare Rib was launched a woman still needed her husband or father's permission to get a mortgage, women were barred from visiting Wimpy bars after midnight (on the assumption they must be prostitutes) and at the BBC female employees were strongly discouraged from wearing trousers?Click here for the podcast. There have been plans to relaunch Spare Rib and it seems there’s a chance that 90’s Scottish feminist magazine Harpies & Quines could resurface too. Click here for further details. Lynne, who organizes Words & Women, was one of the founding Directors of Harpies & Quines and has been interviewed by The Glasgow Women’s Library about her work on the magazine. The Glasgow Women’s Library is a wonderful resource – is there anything like it in the East of England? - and has back-copies of Spare Rib and Harpies. For a link to the library, click here. Finally Words And Women would like to congratulate the five women writers who are on the shortlist for the BBC National Short Story Award 2013. These are Lisa Bower, Lavina Greenlaw who is Professor of Poetry at UEA in Norwich, Sarah Hall who lives in Norwich, Lionel Shriver and Lucy Wood. Their stories are currently being broadcast daily on BBC Radio 4 at 3.30pm. Click here for more info. Interested in fiction for teenagers? Then come to our first membership event because one of our guest speakers will be Hayley Long, author of the Lottie Biggs' novels and What’s Up With Jody Barton? Hayley has won awards for her writing, has been shortlisted for a Costa Book Award, and appears at literary festivals up and down the UK. She will be talking about the Dos and Don’ts of her profession to our members at Appleyard & Co, Norwich, on the 13th October. If you’d like to hear Hayley then join Words And Women! Annual membership costs £10 and more details and information on how to join can be found on our membership page. Our first membership event will take place on the 13th October in Appleyard & Co, Norwich. This will be a Sunday afternoon treat of tea and cakes with some short talks by regional writers on the Dos and Don’ts of their profession. We’re very pleased to say that Sarah Poulton will be giving one of the talks. 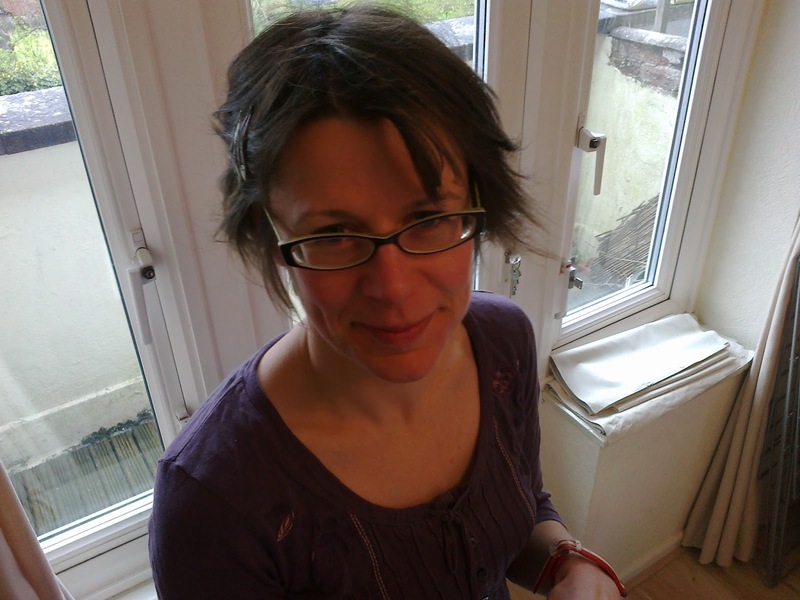 Sarah lives in Norwich and is a freelance writer and editor with more than 20 years experience of working for mainstream magazines, newspapers and web publications. Past employers include IPC Media, BBC Worldwide, Redwood and, most recently, the Telegraph, where she was deputy editor for Special Reports. If you’d like to hear Sarah’s talk, as well as eat cake, then join Words And Women! Annual membership costs £10 and more details and information on how to join can be found on our membership page. Women writers and readers are continuing to join Words And Women as members which is great news for us. 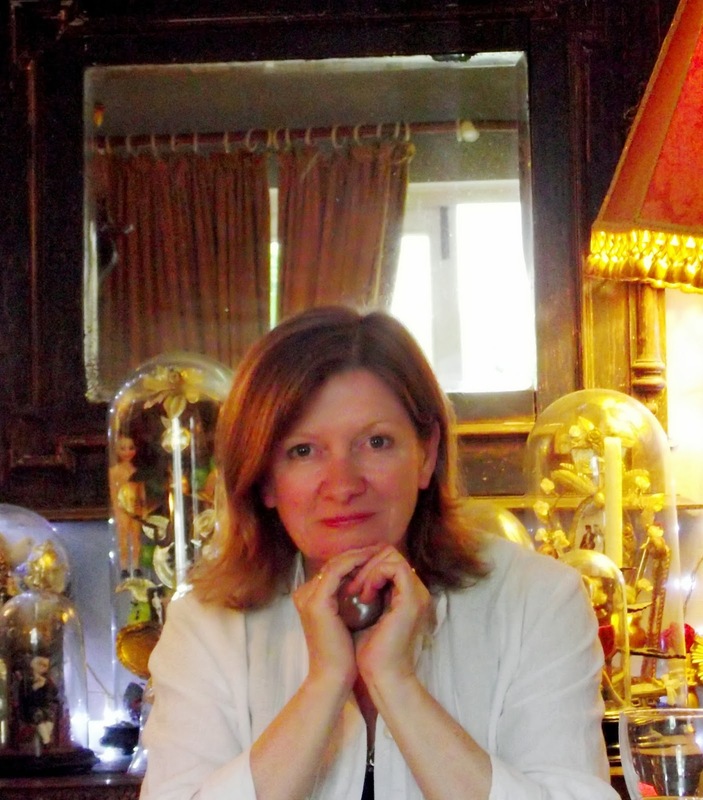 One of our newest members is Sarah Bower whose short story Moon And Henry will be broadcast on Radio 4 in the Tales From The East series, in the week beginning the 1st of September. The reader is Norwich actor Poppy Miller. 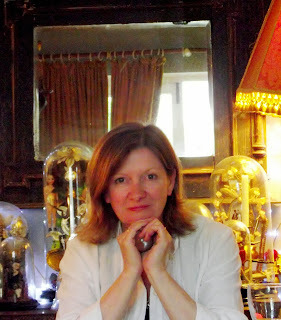 Sarah’s novels – The Needle In The Blood and Sins Of The House Of Borgia – have been translated into 9 languages. Her third novel – Erosion – will be published in 2014, when she will also become writer-in-residence at Lingnan University in Hong Kong. Sarah currently lives in North Suffolk. If you would like to become a member of Words And Women then see our membership page for more details. Annual membership costs £10 and our first event will take place in Norwich in October when we’ll be offering a Sunday afternoon treat of tea and cakes and five short talks by some very special guests. Many women writers and readers in this region are joining Words And Women as members which is great news. One of the exciting results of this is that we’re learning a lot about new publications and up-and-coming literary events. Andrea Holland had just joined us as a member. She’s a poet, author and creative-writing tutor based in Norwich, and tells us that her new collection Broadcasting , published by Gatehouse Press, will be reviewed in the EDP this Saturday 17/08/13. Broadcasting is the result of the Norfolk Commission Award for poetry which Andrea won in 2012. The book focusses on the 1942 requisition of several Norfolk villages for D-Day training, and should interest readers of poetry but also anyone interested in East Anglian or regional history. Copies of the book are available from Gatehouse Press. Here's an update on the achievements of some of the women who took part in our March celebrations. Emily’s work was shown in our drawing exhibition in The Forum Atrium, and we’ve just heard that she’s won the 2013 Holt Festival Art Prize for her painting Drifter. Read about her success here. Clare Jarrett, a Words And Women regular, was shortlisted for the prize too. Eleanor Wasserberg, who read an extract from her novel Foxlowe at our Fusion event , recently gave a workshop at The Fly Festival Of Literature For Young People held at UEA in July. Click here for an enthusiastic review of Eleanor’s ‘Creating Characters’ workshop. The wonderful Anna, who's performed at every Words & Women event to date, is a finalist for The Most Influential Woman In Business And Government In Africa Awards. Click here for a review of The Southburgh Festival Of World Music which took place last weekend and which Anna organises.